The abbacchio alla Romana, a traditional Easter dish native to Rome. A midsummer night party in Marco and Raffaella’s luxuriant garden. 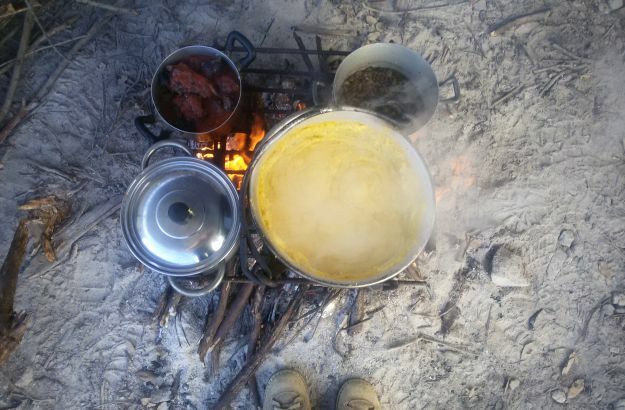 The mushroom hunter’s snack: a delicious fire-cooked polenta. 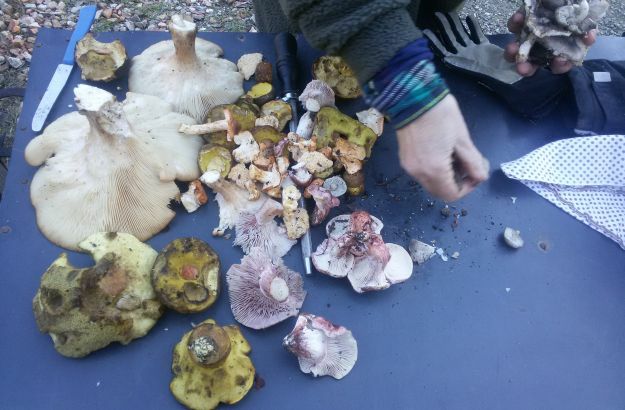 Freshly picked porcini mushrooms: much sought-after by the gourmet. Raffaella has congegrated her equipment for her next cooking class. When I think of the four seasons in Italy, they always remind me of… food. Well, first of all, don’t we say “to season a dish”? But the fact is that I can also connect each of the four seasons, in my memory, with countless lunches, dinners and cooking classes that I have had the opportunity to share with friends in Italy over the years. Two of these friends, Marco and Raffaella, have always been among my best table companions. They live together in a very charming old-stone house in the Val d’Orcia. Their eating customs and habits are living proof that Italian food is always fresh, plentiful and seasonal. By the way, Marco is an architect who is currently developing projects in Siena and Montalcino. I will tell you more about his very interesting work in a future article. 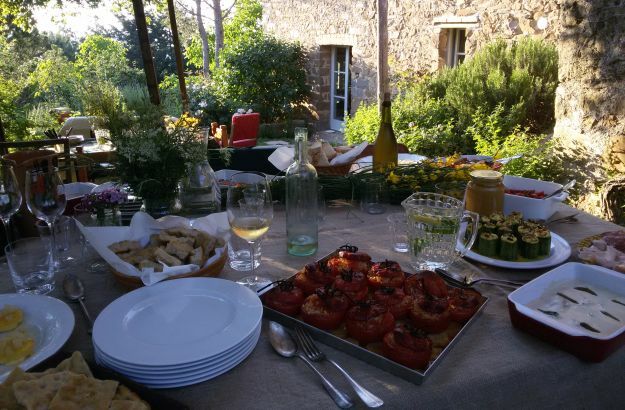 So, back to our seasons: spring, summer, autumn, winter… A year ago, in spring, my family and I were invited by Marco and Raffaella to celebrate la Pasqua at their Montalcino abode. 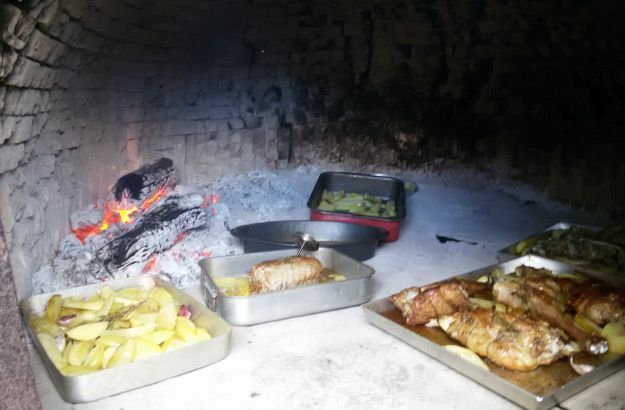 For the occasion, they cooked in their centuries-old wood stove a superlative abbacchio alla Romana, a traditional Easter dish from Rome. Last July, we dropped by again to enjoy, in their luxuriant garden, a long Tuscan midsummer night party. And two months later, in September – at the end of what had been an incredibly hot summer, – we got together once again to have a genial and munificent picnic near the town of Pienza. In autumn, I accompanied Raffaella to a cooking class in one of our Trust & Travel villas in the Chianti region. 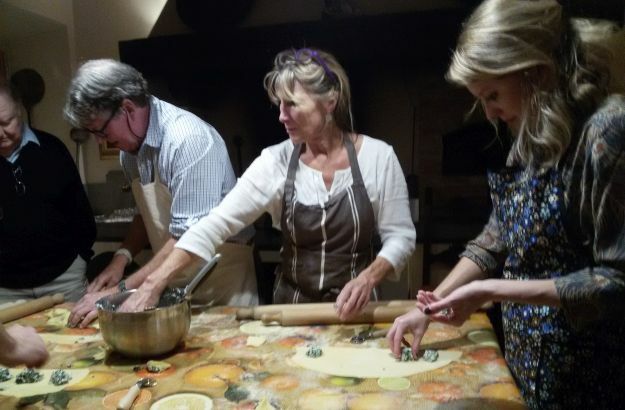 A sweet American family had decided to spend Thanksgiving away from home and around something else than a turkey: they had come to learn how to prepare Tuscany’s famous homemade tortelli and to drink a toast with a properly concocted Italian spritz! And finally, in the cold season, Marco and Raffaella invited me to a porcini mushroom hunt in the heart of Montalcino’s abundant woods, a quest which turned out to be very successful and which we crowned with a fire-cooked polenta right out there in the middle of the rolling hills. Should you like to know more about Raffaella’s cooking classes, please do not hesitate to send Katja an email. 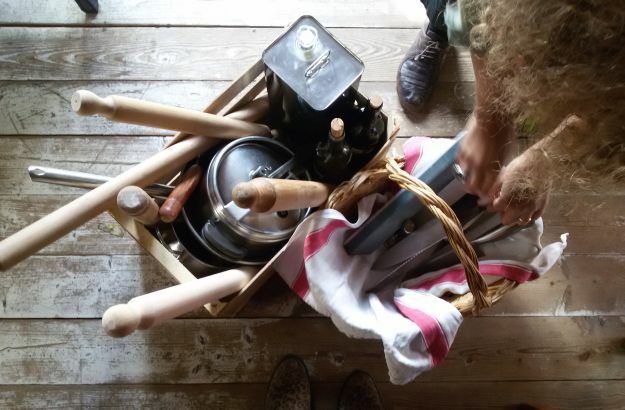 Even though she is based in Montalcino, Raffaella is always happy to come with her professional paraphernalia to any one of our villas in the Chianti or the Maremma, and unveil some of the best secrets of Tuscan cuisine. 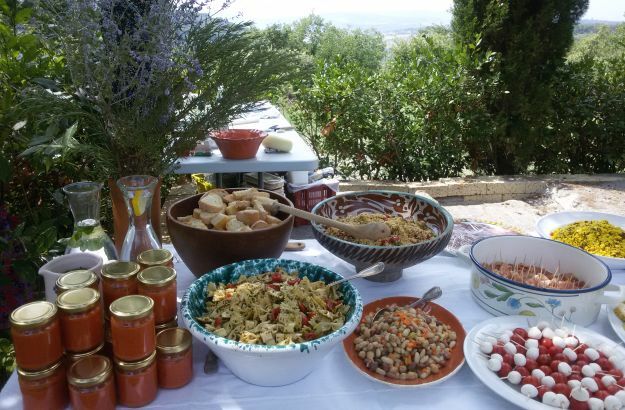 All cooking classes resort to fresh seasonal produce – gluten-free and vegan or vegetarian, if you so wish, – and can be accompanied by a tasting of excellent Brunello wines.